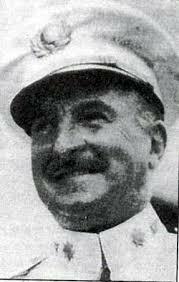 Nelson Denis’ book, War Against all Puerto Ricans, became an overnight best seller and the author a sensation and champion of independence for Puerto Rico. As Denis made the rounds in social media, radio, public presentations and T.V., War became Amazon’s number 1 best seller in Caribbean and Latin American Politics. This is somewhat ironic. The thing is that although the author presents the book as history his work falls way short and should’ve been placed under “fiction”. Denis’ work, as pointed out by several intellectuals, reporters and activists, is plagued by hyperbole, misrepresentations and what can only be labeled as fabrications. Denis’ followers are mesmerized by the vast bibliography and notes included in War and mention it non-stop as proof of his academic rigor. And why would the uninitiated doubt Denis’ academic rigor? I have to assume that those defending and following him are not knowledgeable on the subject at hand or what academic rigor is. Or maybe they are so desperate to resuscitate the independence movement that they will believe anything. 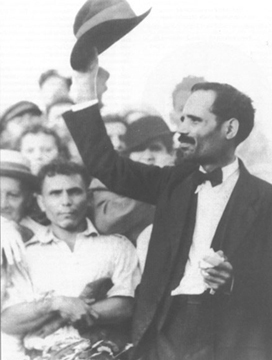 An ever-growing number of scholars and activists who have spent their lives studying Albizu Campos and nationalism and denouncing their persecution and the colonial regime in Puerto Rico, have criticized the many mistakes and outright fabrications found in War and received personal attacks for it. Denis’ apologists are employing the favorite tactics of the extreme right as they go after his critics: If you can’t argue against the proof presented, attack the person. The controversial book is creating a schism in the Puerto Rican community. There are those who want to believe every single word and the overarching narrative that Denis presents and will not accept any criticism. And there are those who have tried to find the work’s contribution to ongoing conversations while pointing out the shortcomings of the book. There is no reason for this divide. However, Nelson Denis has refused to even acknowledge his critics or that his book has received any criticism at all. This is a political move and not something a “historian” would do. Point in case, during his recent talk at the Holyoke Public Library, Denis denied that there was any criticism at all directed at his book. A quick Google search will prove the contrary. Months before the book was released, Denis launched a series of blogs in Latino Rebels with excerpts from his book. I was among the first to question the veracity of the title. I remember I had read Riggs’ words years ago while conducting archival research but I could not find that document’s photocopy. I asked Denis (in the comment’s’ section) to provide me with references. He did but not a single one backed his story. I commented that it would be absurd for the Chief of the Insular Police to declare that “There will be war, war to the end against all Puerto Ricans” because the policemen under his command, the National Guard, and the 65th Infantry (the tools at his disposal to carry out such war) were Puerto Ricans. Thanks to one of the foremost biographers of Albizu Campos, Pedro Aponte Vázquez, the true words spoken by Riggs are now widely available. Luis A. Ferrao, an authority on the topic as well, has recently published a three-part articles detailing the many exaggerations, misleading statements, and outright fabrications found in “War”. However, Denis refuses to even acknowledge that the title itself is not true to facts. Here are the events and the statements made by the protagonists of these incidents. 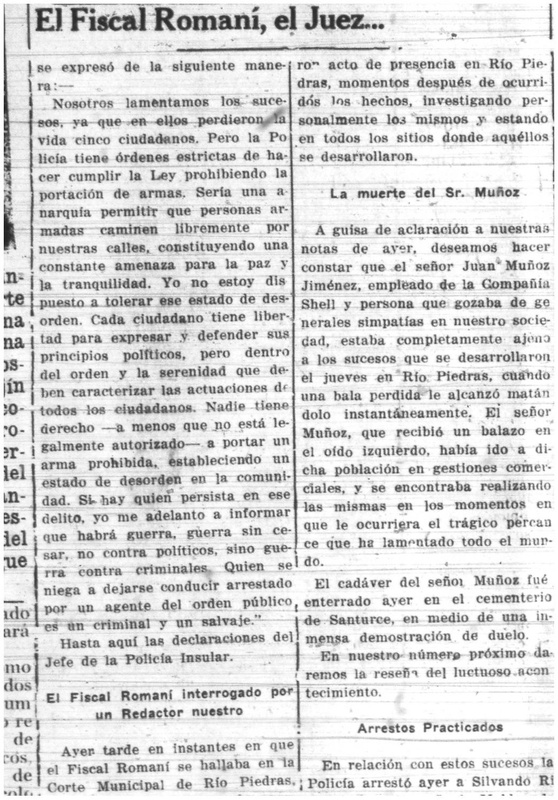 On October 24, 1935, Puerto Rico’s Insular Police detained Nacionalistas armed with revolvers near the University of Puerto Rico in Río Piedras where some U.P.R. students were protesting against Pedro Albizu Campos, who had supposedly called the male and female students “effeminate” and “prostitutes” for failing to be at the vanguard in the fight for the island’s independence. On their way to the police station a gunfight between the Nacionalistas and the police left four Nacionalistas and a policeman dead and forty wounded. There had been outbursts of political violence in the previous years, but nothing came close to the outright war that had just started between the Nacionalistas and the Insular Police. “We regret the events in which five citizens lost their lives. But the police has strict orders to enforce the “Law” prohibiting the carrying of arms. It would be anarchy if we allowed armed people to walk freely on our streets constantly threatening our peace and tranquility. I’m not disposed to tolerate this state of disorder. Every citizen has the right to express and defend his political principles, but within the order and serenity which should characterize the actions of every citizen. No one has the right- unless properly authorized- to carry an illegal weapon and to establish a state of mayhem in the community. Roughly a week later, Albizu Campos answered Riggs’ comments. It is the plan to exterminate the Puerto Ricans. But Nationalism has destroyed all Yankee inventions. The enemy has now left only the traditional arms of assassination. The country will vindicate the killings of its heroes, Pagán, Quiñones, Rodríguez-Vega, and Santiago. Pedro Albizu Campos, Radio Speech, printed in its entirety in, La Palabra November 2 1935. The question is, why change Riggs’ words? Translation mistakes are common but they should be minor and should not alter your overarching story. And most certainly, one ought to make sure that at least the title is true to facts. Why won’t Nelson Denis simply accept that his title is a play on words, an attempt to encapsulate his overarching thesis within a catching phrase? Is this just a marketing strategy or does he really believe his own story despite the many contradicting facts and documents presented to him? Did he think he would not be challenged, his “references” checked? He must be aware that scores of scholars have worked on this subject for decades and conducted extended research for he uses their work. What will it take for more scholars, activists to recognize the damage his half-truths, fallacies, and fabrication do to Puerto Rico’s history and the Puerto Rican community? Fabrications won’t win the anti-colonial struggle. I have been told that at least he is starting a conversation. Seriously? If he is starting a conversation, how come that the material in his book which is actually accurate comes from the works of others? He may have popularized certain subjects- and that has value and should be recognized but when he failed to humbly address his critics he closed the door to what could’ve been an important multi-sided conversation among the Diaspora, the island, scholars, activists, political figures and popular writers. Some have argued that he is at least presenting it in a way that the public can understand. This is beyond offensive. Do they think the Puerto Rican public is so ignorant, weak-minded and colonized that the only way for us to learn our “history” is if told as a dark fairy tale? Denis himself has argued as much with his use of the Stockholm syndrome to explain the Puerto Rican’s fear of independence. History is not a Walt Disney production. History is complicated. History is not a battle between good and evil, light and darkness (as imperialist used to write it). And most certainly, Pedro Albizu Campos is a great figure and integral part of Puerto Rico’s history but his story, as Denis claims, is not the history of Puerto Rico. By reducing the history of Puerto Rico to a battle between good and evil, Albizu versus Muñoz; Denis writes the worst of histories, a history in which individuals decide the future of whole nations. This approach denies the anti-colonial struggle pre and post-Albizu. Worse yet, it denies the courage and sacrifices of all Puerto Ricans who have fought for a better future and to correct colonial injustices. I suggest that those interested in learning about the figure of Albizu Campos and the nacionalistas become familiar with the works of Luis A. Ferrao and Pedro Aponte-Váquez. They are thorough, systematic and fair in their assessments. In their work, you won’t find tales of Puerto Rican soldiers feeding nationalists their own children – but that is because they don’t need to fabricate- or take passages from Titus Andronicus and “Las Fiestas del Chivo”- to adorn their arguments. The history of U.S. (and Spanish) colonialism in Puerto Rico is ugly enough, hyperbole and fabrications are not needed to prove it. I was lucky enough from an early age to have been acquainted with several puerto rican writers and poets. The ones that I knew had to leave the island of Puerto Rico because of their political believes. They wanted Independence for the island. Unfortunately they went to USA were . Some had a hard time finding work. This is like going to live in the house of your enemy to make a living. Even though he wrote vigorously and produce great writing during that period. This was sad to see and know. He finally found work in a newspaper in the USA. He has since passed away, but today he is a very well respected and we’ll know poet in Puerto Rico. His books are sold in the Instituto de Cultura de puerto rico.